In September 2018, the McIntire Department of Music and SPICMACAY will co-present the Kaushiki Chakraborty Residency. The residency will involve an evening performance on Sunday September 16th, and a lecture-demonstration on Monday the 17th. 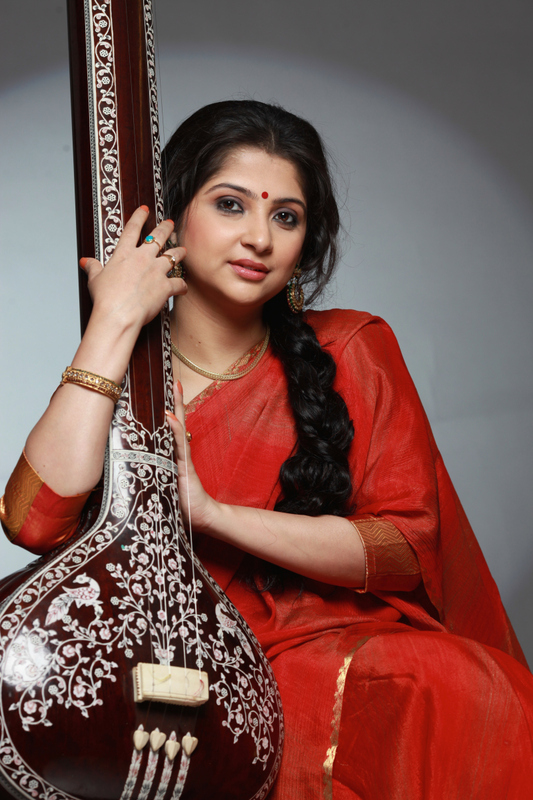 Kaushiki Chakraborty is the daughter of the great Indian vocalist, Ajoy Chakraborty, and has been described by the BBC as “one of the brightest emerging artists in Indian vocal music.” Within India, she has received some of the highest honors in Hindustani music, including the 2010 Ustad Bismillah Khan Puraskar award. She has also been a pioneer in promoting female artists in India, in particular through her all-female classical music group Sakhi, which performed at Carnegie Hall in 2015. Ms. Chakraborty has also promoted folk and regional styles in India, particularly from her native Bengal. She has performed in Asia, Europe, North America, and Australia, with world-class Hindustani musicians such as Rakesh Chaurasia, Purbayan Chatterjee, and Satyajit Talwalkar, as well as her father Ajoy Chakraborty. On Sunday, September 16th, Chakraborty, accompanied by Ojas Adhiya (tabla), will perform a concert at Old Cabell Hall. On Monday, September 17th, the artists will hold a free workshop with students and faculty, on aesthetics and improvisation in Hindustani music. This residency is generously co-sponsored by: Alumni Association; Center for Global Inquiry + Innovation; Department of Anthropology; Institute of the Humanities & Global Culture; International Studies Office; MESALC; Office for Diversity & Equity; Office of the Dean of Students; South Asia Center; Vice President for Student Affairs; Vice Provost for the Arts. If there is inclement weather, we will follow the UVA schedule posted at the UVA Operations Status Board. In the case of inclement weather, we will follow the UVA schedule posted on the UVA Status Board.